The Chloe Basin Mixer is an ultra-stylish mixer which is the perfect choice for modern bathrooms. 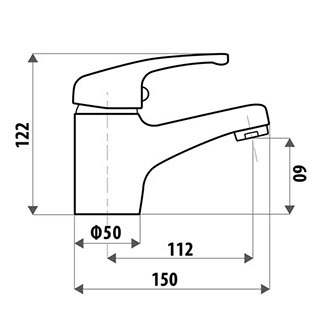 It features a sleek design with subtle curves and offers the best of both style and practicality. The Chloe Basin Mixer features a fixed spout in a slight upswept design and had a modern chrome finish. Experience the best of style and practicality with this basin mixer. 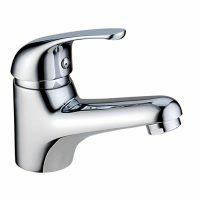 It has an open loop handle design which makes it very easy to use and operate and it comprises a high-quality 35mm cartridge to offer accurate control over water flow. Despite being priced affordably, the Chloe Basin Mixer exhibits all the features of a superior grade product. It is manufactured to the highest standards of quality and features solid brass construction. It has earnt a 5-star WELS rating using just 5.5 litres of water per minute and is backed by an impressive 15-year limited warranty. 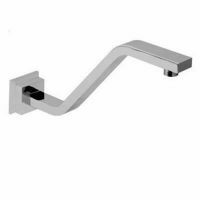 For stylish and functional basin mixer taps in Perth, Chloe Basin Mixer available at Ross’s Discount Home Centre is hard to match. 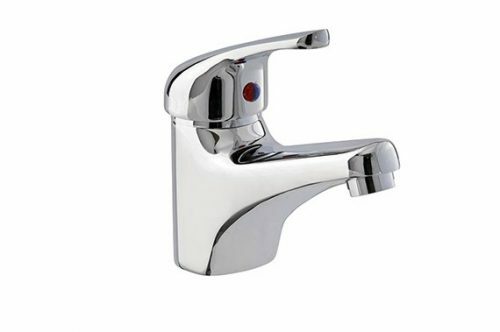 Buy this mixer tap at the lowest price in the market from our online store today!